What’s cute, furry and comes in groups of four? 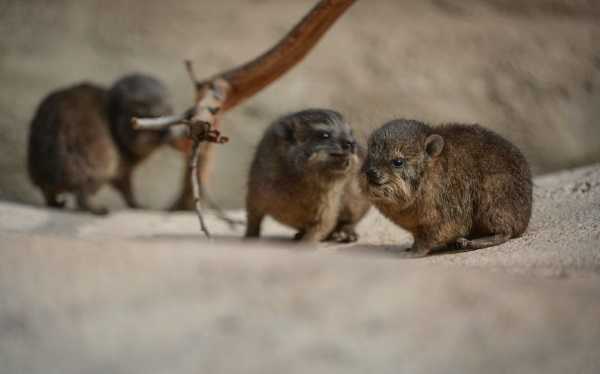 The Beatles, sure, but also the new fab four baby rock hyraxes born at the UK’s Chester Zoo! 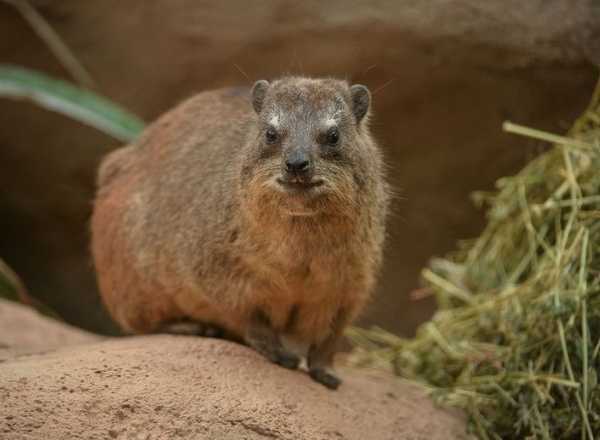 What the heck is a “hyrax”, you ask? 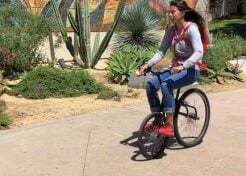 Would it help if you knew they were closely related to elephants? Didn’t think so, but though these roly-poly fur-bearin’ varmints might outwardly resemble groundhogs or guinea pigs they’re actually not rodents at all. Instead, they’re classified as Paenungulata, a taxonomic clade that also includes elephants and manatees. 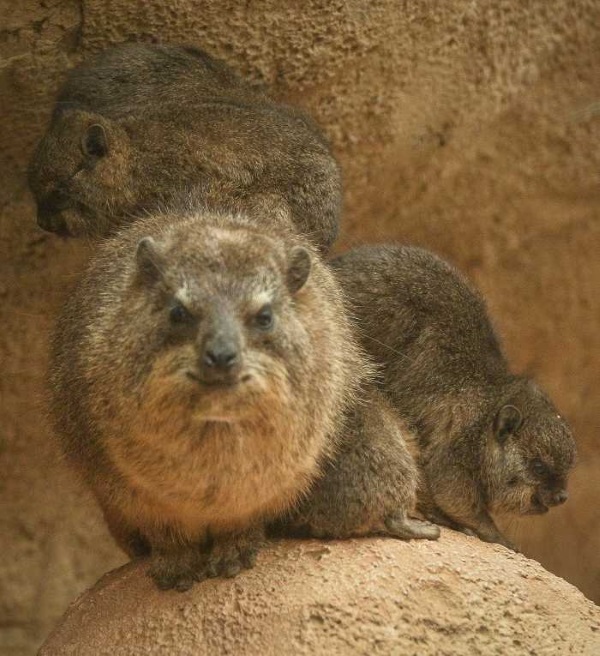 All four living species of hyrax are native to Africa and the Middle East, with the Rock Hyrax (Procavia capensis) enjoying the largest range. 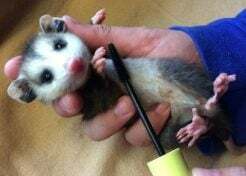 The IUCN considers it to be of Least Concern, and in some areas it’s even considered a pest. Not so at the Chester Zoo, a zoological garden at Upton by Chester, in Cheshire, England. 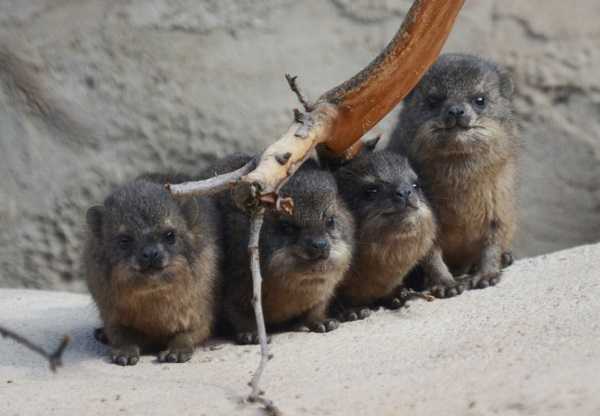 The zoo boasts a small population of resident rock hyraxes with the newest batch of four newborns arriving on July 25th of 2015. 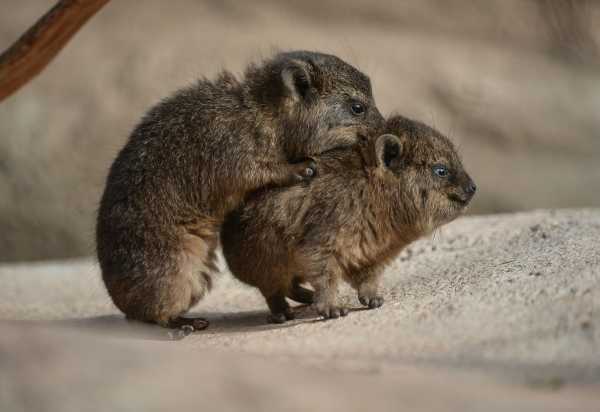 Though each weighed no more than a few ounces at birth, mama hyrax had to be relieved at the blessed event which was seven long months in coming – long gestation periods are just one of the physiological attributes hyraxes have in common with their elephant relatives. 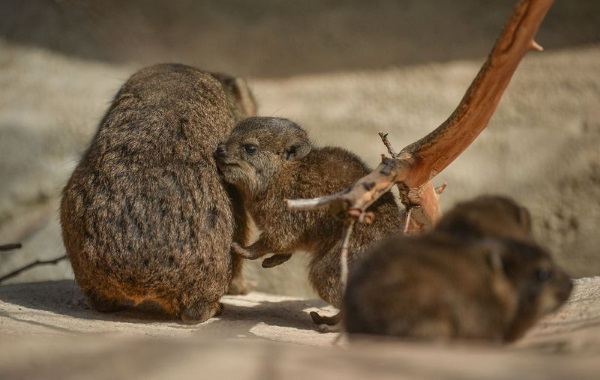 One possibly expected result of spending so long in the womb is that hyraxes are born fully-furred with their eyes and ears open and functional. 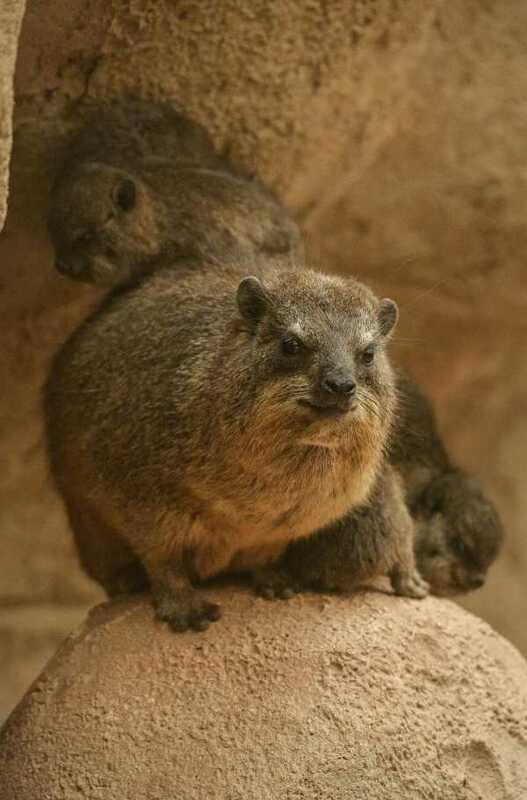 They look a lot like miniature adult hyraxes, in fact!